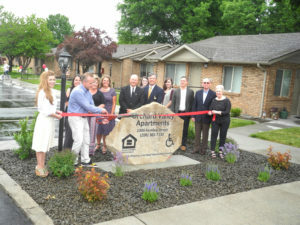 Orchard Valley is a business stationed in Boise that is dedicated to the renovation of affordable housing communities. The Chamber of Commerce is excited to welcome Orchard Valley Apartments to our Community and as our newest member! Orchard Valley was started to preserve and develop federally financed multi-family housing with rental assistance when available. The mission statement for Orchard Valley is to preserve affordable housing opportunities. Orchard Valley is based in Boise, and operate Monday – Friday 9:00 A.M–5:00 P.M. For more information call (208) 336-4610.